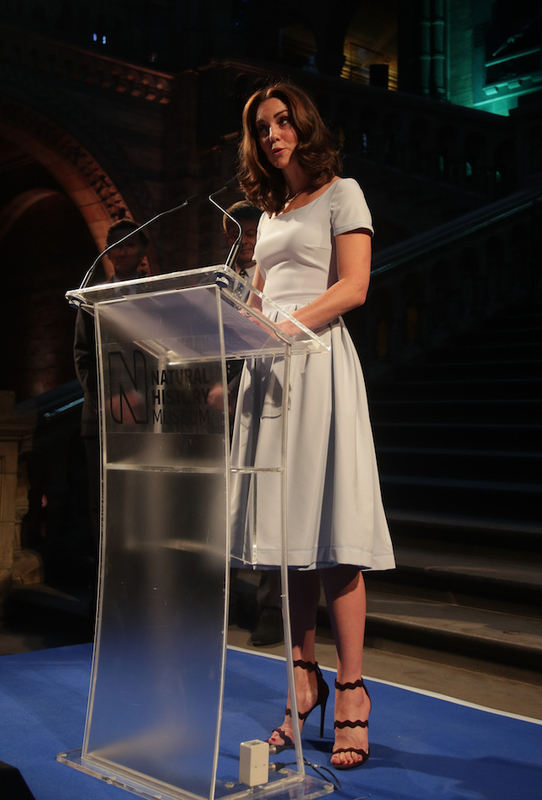 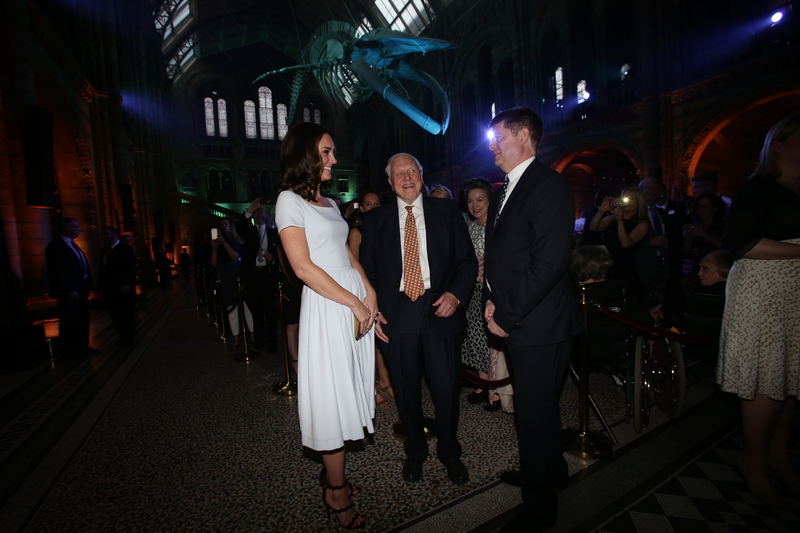 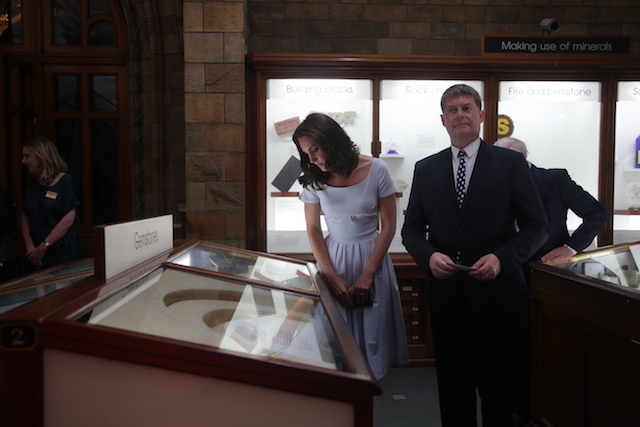 Kate Middleton looked internationally chic in a pale blue dress at the re-opening of the Hintze Hall at the Natural History Museum Thursday night in London, England. 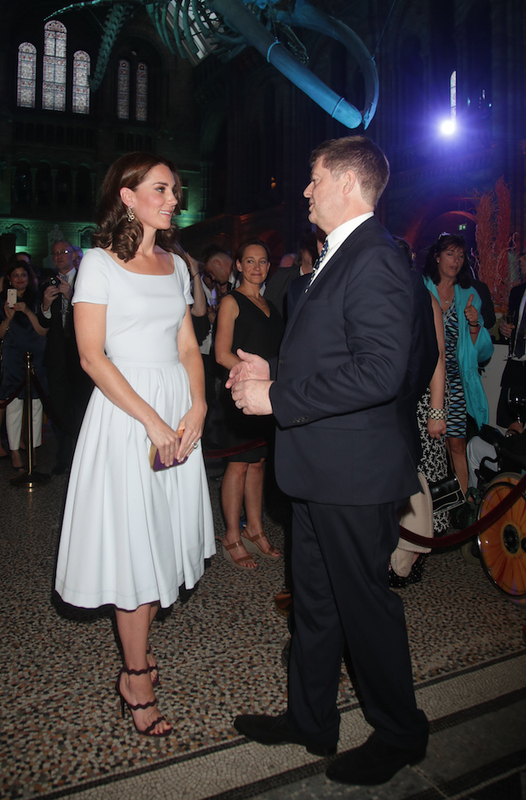 The Duchess of Cambridge kept her look very clean, opting for no jewelry in the short sleeve dress that went down past her knees at the museum’s launch event. 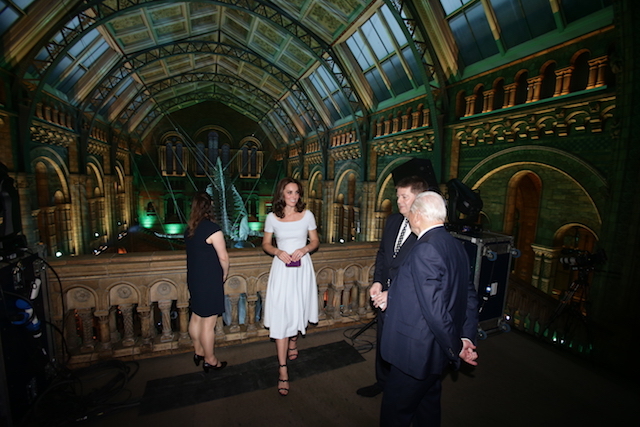 She completed the great look with a pair of black high heel sandals. 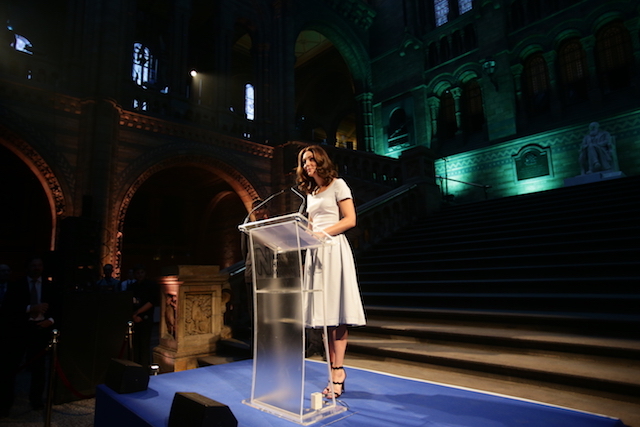 “As someone who has been fortunate to experience scuba diving, something I love doing, and seeing the incredible marine life, I have come to care deeply about life under our waters and the conservation of our oceans,” Middleton said during her speech Thursday at the museum.